No,nunca los había visto, son divertidos, los pone la gente? Eso, la gente los pone y los deja ahí? me encanta! 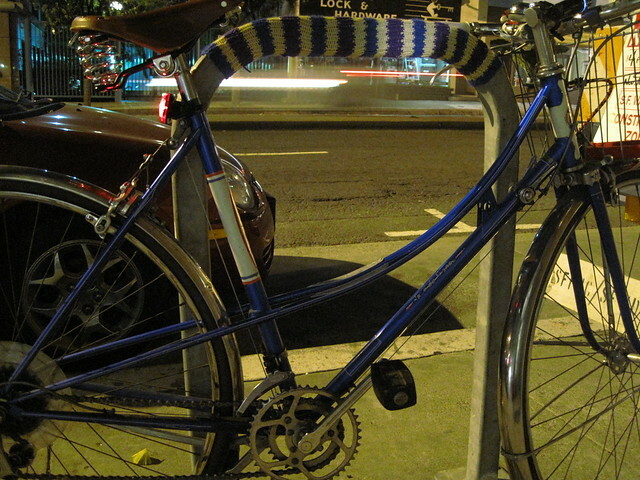 Further proof that knitters are awesome! @joshylola+álvaro/ si, asi es – y al paso del tiempo la figura o longitud de cada pieza va creciendo. que bien no?! 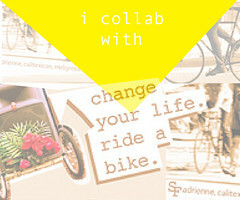 Your blog really is the best. 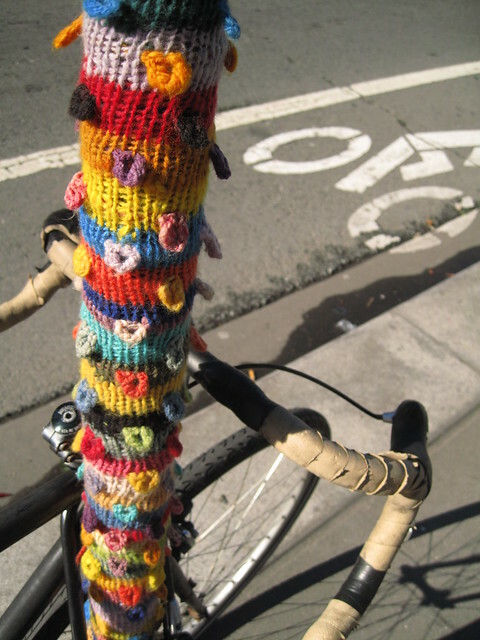 Bikes, boys, coffee, knitting and a little fashion! There are a few pieces around Montreal, but it's moreso populated with stenciled spray paint street art by the artist Roadsworth. If you haven't heard of him, Google! He's amazing. what is better than a daschound in a sweater? 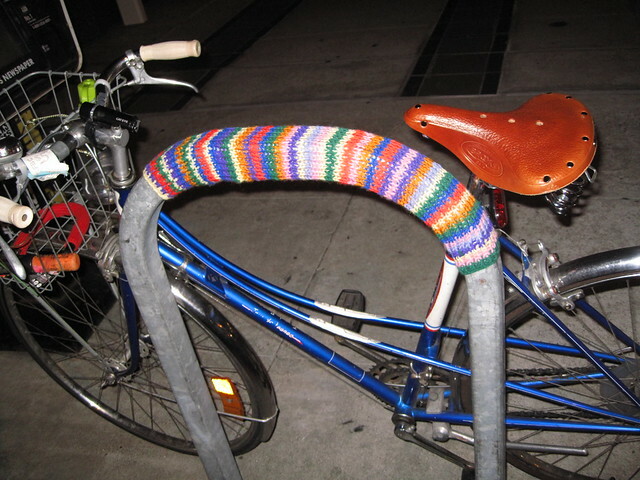 a bike rack in a sweater! I love the sweater poles! 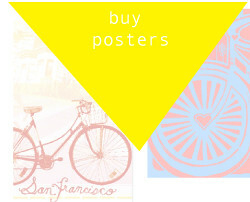 I have seen an awesome one in Bernal Heights, it's Giants themed!! I must get a picture!! So what's the secret of getting those on to the poles? 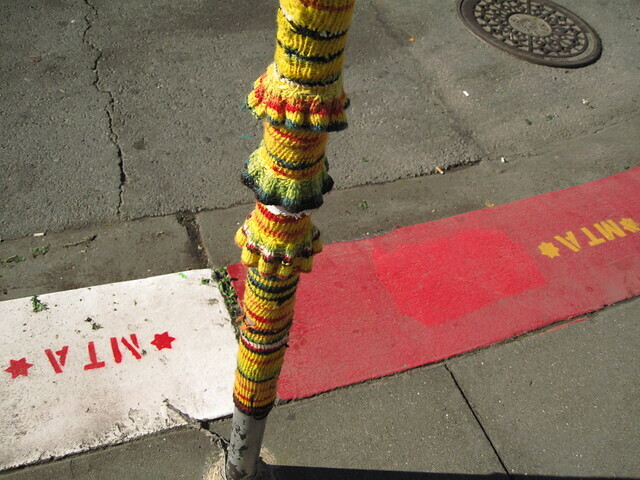 Surely a knitter didn't stand there and knit them? Yes? Lord! Those are aweeeesome! Never seen anything like that around here but I've just retaken up knitting. Maybe a new project for me to consider …? 😉 I love when people take these little actions to make their city more of a home. 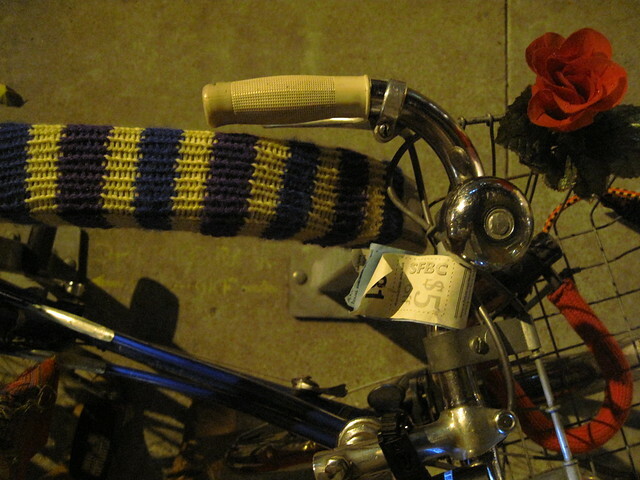 I am so tempted to do that to some of Bham's bike racks and lonely little meters. Love the photos, per usual! I LOVE this! I live in Berkeley and grately appreciate our guy on this side of the Bay & his apprentice (The Russian)! 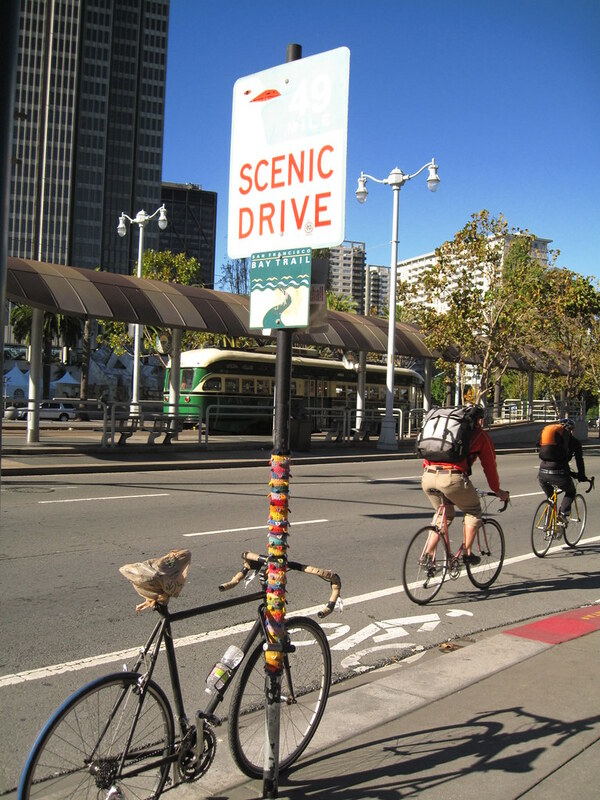 I frequent Cheeseboard on Shattuck in North Berkeley & they have decorated several sign poles there…brillant!